Imprint Area Approximately 6" in diameter depending artwork. Material Details Rubber band included w/ punch balloons. 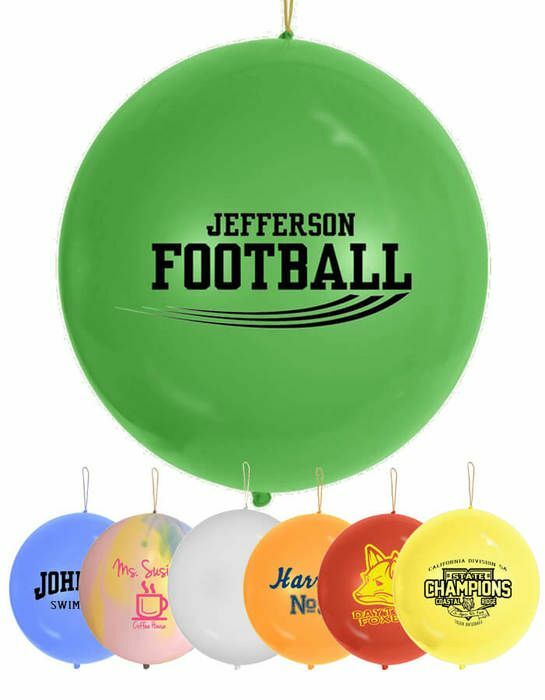 Our latex balloons are helium quality, earth friendly, and 100% biodegradable! Please note that balloons ship DEFLATED. Production Time 5 business days. Express shipping options available at check out. Setup Charge $25.00 per ink color.